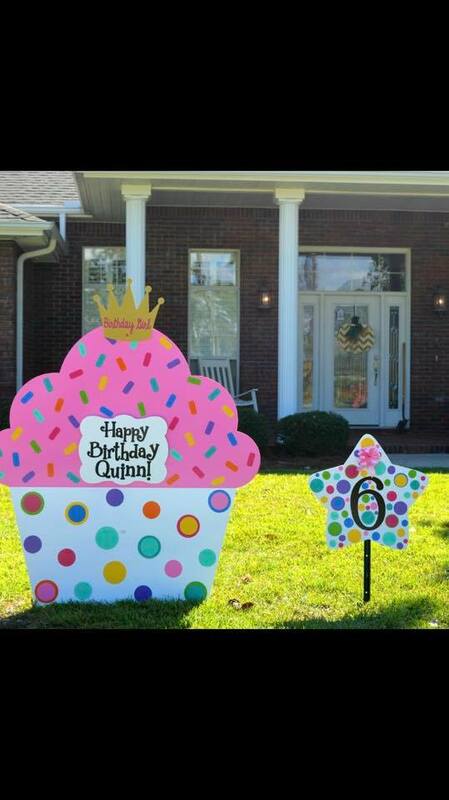 Sandhills Baby and Birthday Signs delivers birthday yard card signs personalized for children and adults throughout the greater Sanford/Southern Pines region. We proudly make stork deliveries for new babies and birthday sign deliveries to Pinehurst, Fayetteville, Apex, Holly Springs, Pittsboro, Spring Lake, Cameron and nearby towns. Call us at 910-723-4784 to reserve a birthday lawn sign or new baby stork sign! Visit us on FB, IG, & Pinterest too! ‹ Apex NC ~ Stork Signs for New Baby!